Globe is located in Gila County, Arizona. The population of the city is around 7,500 The city is the county seat of Gila County and was founded in 1875 as a mining camp. Mining, tourism, government and retirees are most important in the present-day Globe economy. Globe is centrally located in Southern Arizona, Gila County. 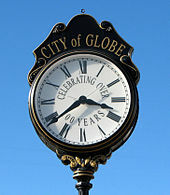 Globe is a great get away for a day trip or a weekend. We are located along the Historic Old West Highway, which takes you from Apache Junction, Arizona to Lordsburg, New Mexico. While here you can visit the Salado Indian Ruins at Besh-Ba-Gowah Archeological Park. 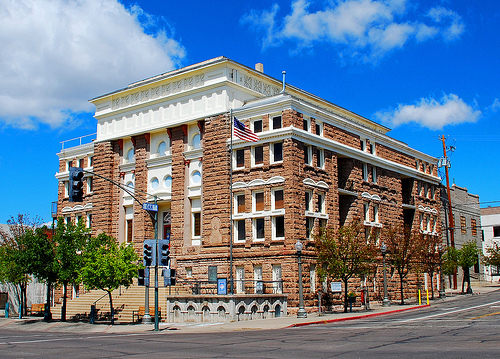 Enjoy the Arizona sunshine while visiting our historic down town and antique shops, or visit The Cobre Valley Center for the Arts, where you'll find the works of local artists. You can take a short drive to the Pinal Mountains if you are looking for beautiful scenery or Roosevelt Lake to see the desert landscape. 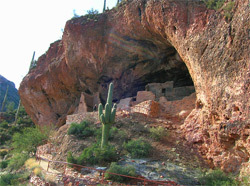 Hidden on the eastern slopes of the majestic Superstitions Mountains is a remote canyon containing some of the best preserved prehistoric American Indian ruins in the state of Arizona. In the ruins you will find interpretive signs to better understand the Salado civilization. The Ethno-Botanical Garden illustrates native Arizona plants that were used in there daily lives. The Museum is said to house the largest collection of Salado pottery & artifacts in the world. 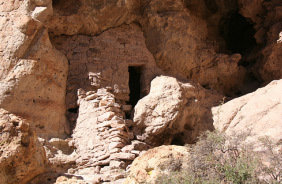 Situated within rugged terrain in the northeastern part of the Sonoran Desert, these well-preserved cliff dwellings were occupied during the 13th, 14th, and early 15th centuries. 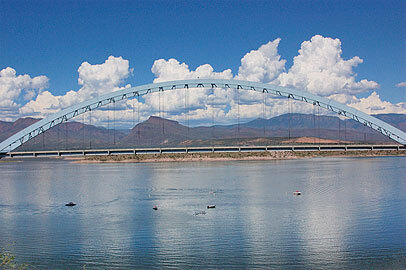 Within the Tonto National Forest you find different landscapes from mountains to the desert. You can hike through the pine trees to the top of the Pinals & oversee the entire City of Globe, or go hike to the Tonto National Monument & See the Beauty of Roosevelt Lake. Visit www.nps.gov/tont/index.htm for more information.